The contract will include a major upgrade to Waurn Ponds station as well as works along the Warrnambool line to allow for extra services and pave the way for the VLocity trains to use the line. Victorian Minster for Public Transport Jacinta Allan said the Warrnambool Line Upgrade also includes a new crossing loop to make it easier for trains to pass each other and signalling upgrades. 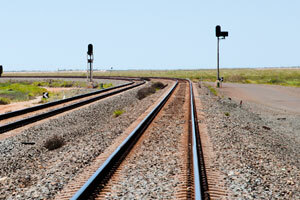 “Upgrades to level crossings along the line will make crossings safer for motorists and train passengers. Work on these is being undertaken by V/Line and is already under way,” she said. The Geelong Line Upgrade will include a second platform and additional track at Waurn Ponds Station, which will mean trains can pass each other at this point on the line and allow more Geelong services to be extended to Waurn Ponds. Construction of a new pedestrian link at the station is included in the works.